This colonial-style bungalow, at No 2 Jalan Stonor, within walking distance from the Kuala Lumpur City Centre was built in 1925. Having passed through many owners, it was restored for reuse by Badan Warisan Malaysia in 1995. The century-old building today houses an exhibition area, the Heritage Centre’s premises, and a gift shop. It is also a popular venue for art exhibitions, product launches and meetings. The building is built raised floors and faces a huge garden. 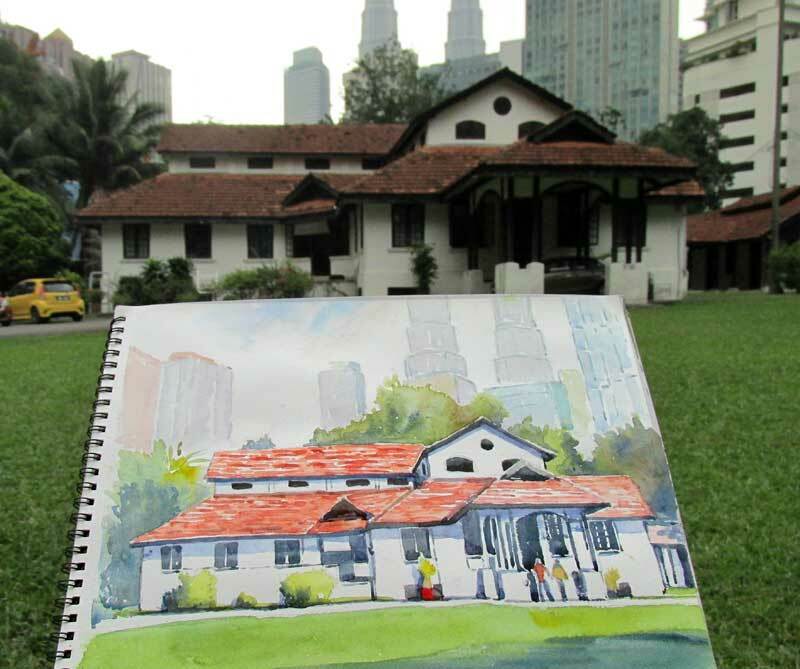 I was here recently during an exhibition by Malaysian Heritage and History Club to mark the nation’s Independence and thought that it would be a good subject to paint. After all, there are not many such magnificent buildings left in the city centre that mark a chapter of our colourful history. that have been saved from the ravages of time. Just a stone’s throw away from the bungalow is the Rumah Penghulu Abu Seman, one of the oldest traditional Malay houses in the country that have been saved from the ravages of time. Believed to be built between 1910 and 1930 in stages, this all-timber abode was once owned by Mukim Bagan Semak, Bandar Baharu, in Kedah. Badan Warisan relocated and restored the house in 1996 from its original site in Kampung Sungai Kechil, also in Kedah. 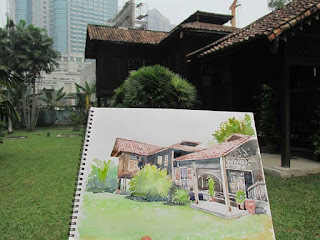 In its silence presence beneath looming sky scrapers, this traditional house is no less grand than the colonial bungalow for it reflects the ingenuity of Malay builders of old, who have masterly incorporated functional use and environment-friendliness into its design. The floors have been raised to keep the structure airy and cool in hot weather. The house also has carved panelling that not only beautiful the walls but also allow good ventilation. 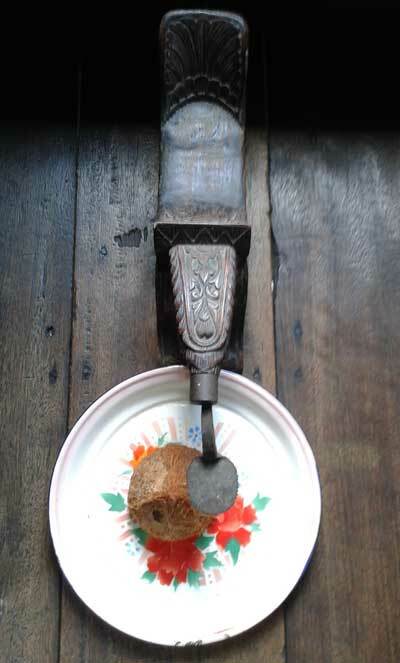 For those who wondered what guardians of the kitchen use in time of old, check out antique kitchen appliances here, which included a granite millstone (batu giling), lesong (pestle and mortar), and coconut scraper (kukur nyiur).